Please get in contact with us or your local representative to find out more about coaching archery. County Coaching Organisers (CCOs) and Regional Coaching Organisers (RCOs) are volunteers who act as key coaching contacts around the country. They are there to offer support or advice to anyone interested in becoming a coach or developing their skills, to promote local coaching initiatives and opportunities, and to support coaches with their coach licence renewal. To find out who your local coaching representative is and get in touch with them, please download the document below. 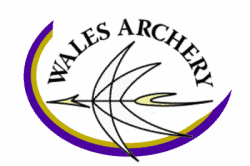 For general enquiries about coaching please e-mail coaching@archerygb.org or phone 01952 602795. The below staff are part of Archery GB’s Sport Team and lead the delivery of the Coaching Plan for Archery (2017-2021).